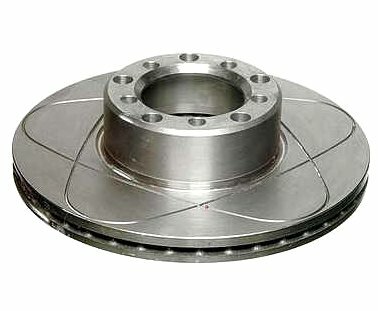 Im going to put brand spanking new rotors on the front of my SD because its been harder to slow down even with new pads and the rotor on the car is the original one so its pretty worn. Im looking at these and i like the $46 one that is sport vented with those lines drilled in are there any negative things about using those kind of rotors? This solution won't eliminate dust(will reduce it since it increases pad life). If I had this done I would have the brakes slotted and drilled as well. The price to do this seems reasonable. I'll take back my earlier comments. This seems to be a pretty straight material improvement. I would definitely do this if I ever get my S-Class or since the rotors for those suckers are so expensive and pads are expensive as well. ATE power discs are great! Another plus is that the slots seem to shed water very fast.